3 stone diamond engagement ring. Product code: 1287 Categories: Sold Items, Sold Rings. 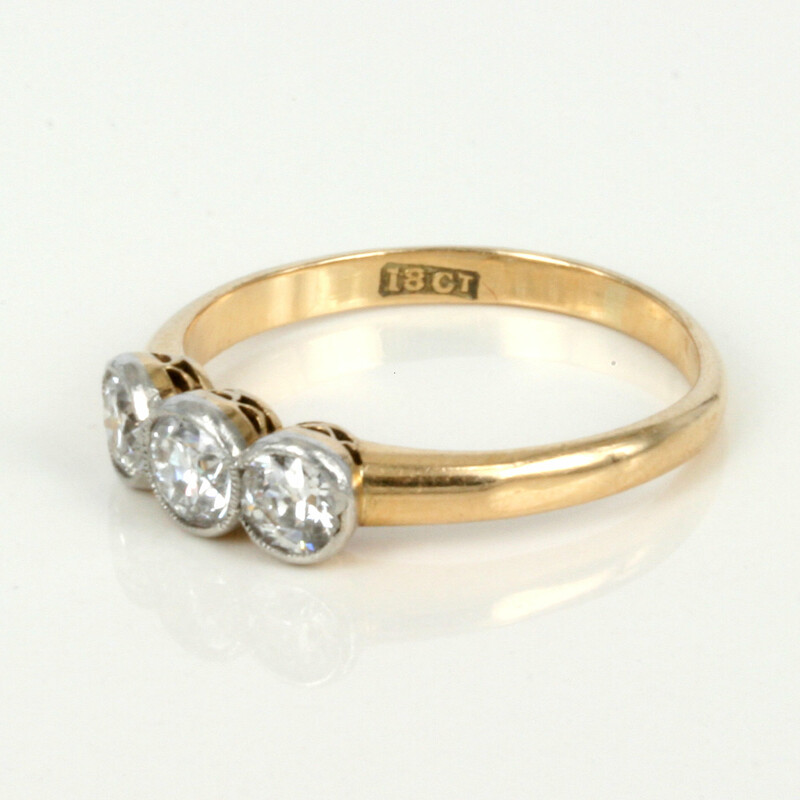 Here is a perfect 3 stone diamond ring from the early 1900’s. Hand made in 18ct yellow gold, the diamonds are bezel set and is still in wonderful condition and can so easily be worn every day. The diamonds total 0.78 carats and are E/F colour and Vs-Si clarity and they all have a wonderful sparkle. 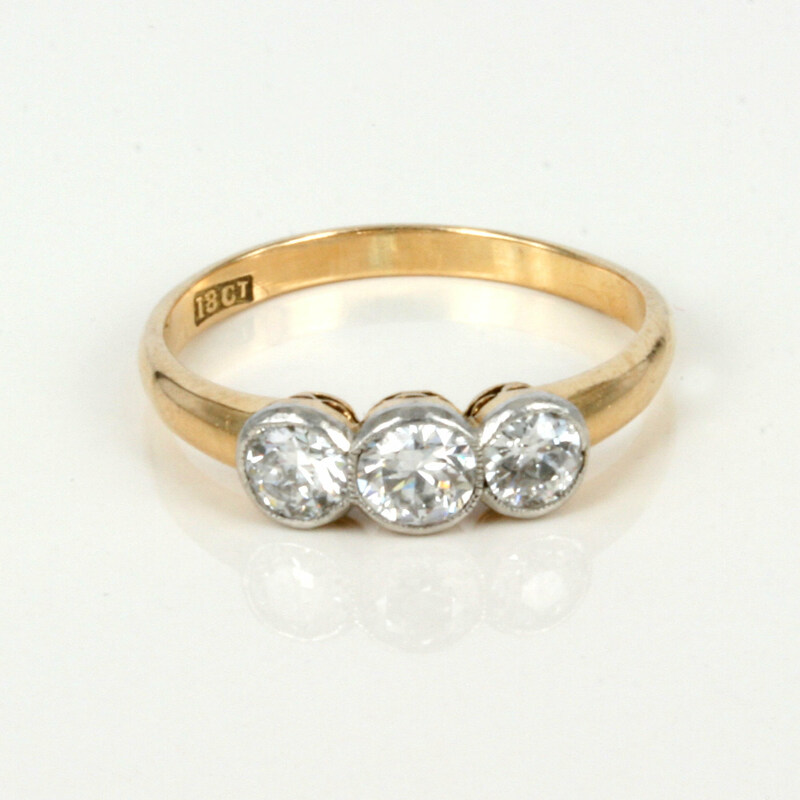 Antique diamond rings are becoming so popular as engagement rings, and when you try this one on you will see why.